Season five won’t premiere until January 18, 2019, however Netflix is already preparing for a sixth season of Grace and Frankie. The streaming service announced they’ve officially renewed the critically acclaimed comedy for a sixth season which will arrive in 2020. The comedy was created by Marta Kauffman and Howard J. Morris and is executive produced by Jane Fonda, Lily Tomlin, Marta Kauffman, Howard J. Morris, Paula Weinstein, John Hoffman, Billy Finnegan, Robbie Tollin, David Ellison, Dana Goldberg, and Marcy Ross. 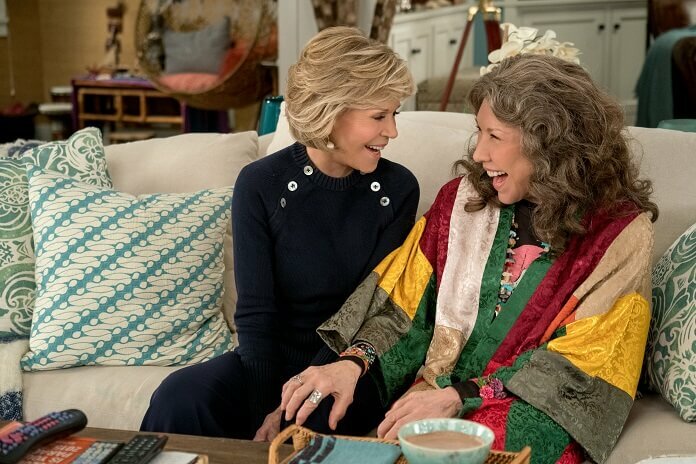 Grace and Frankie’s third season was nominated for nine major television awards including Primetime Emmy Award and Screen Actors Guild Award nominations for the show’s stars, Lily Tomlin and Jane Fonda. Grace and Frankie season three also earned a Writers Guild Award nomination, an NAACP Image Award nomination, a Costume Designers Guild nomination, and two Makeup and Hairstyling awards nominations. Season four earned two Primetime Emmy Award nominations and two Screen Actors Guild nominations.